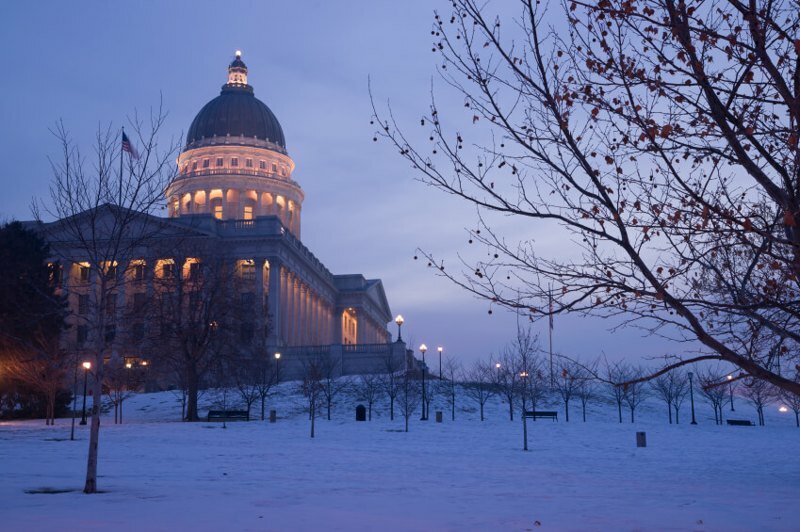 You’ve probably done your research on the weather in Salt Lake City, so you may already know that winters are cold while summers are hot, hot, hot. 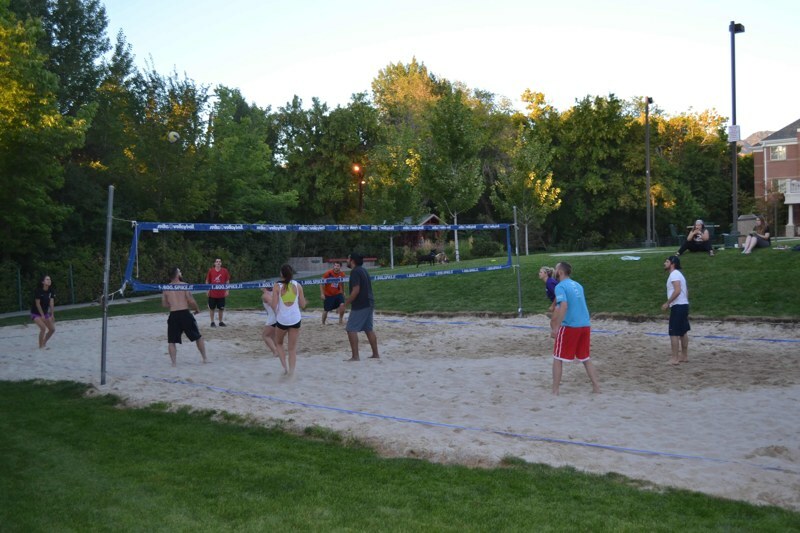 If you’ve never lived in the snow or felt the desert heat, you may not know how to handle the polar opposite climate of the Salt Lake City seasons. Consider this a comprehensive how-to guide to surviving the the sporadic, and at times temperamental, Utah weather. If you want a more detailed idea of what to expect so you can prepare better, check out the above infographic. January is the coldest month by far, with an average high of 37° Fahrenheit and a low of 22°, while July is the hottest with a high of 93° and a low of 65°. 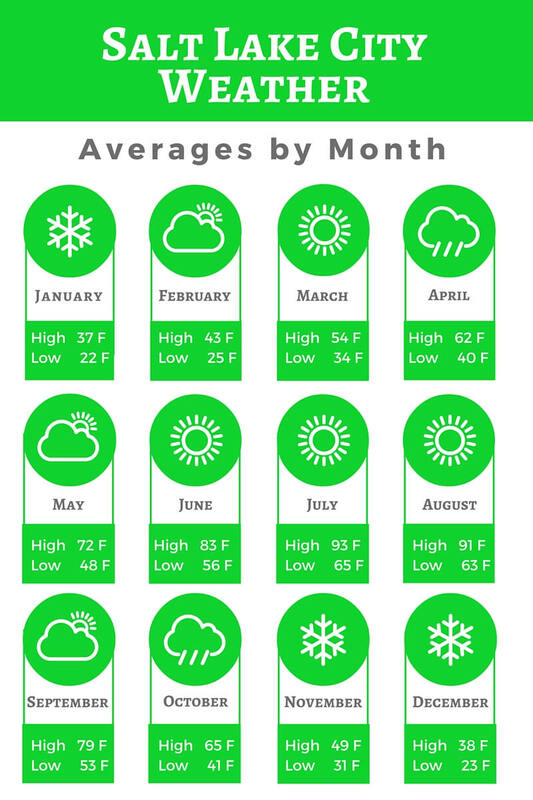 Remember that these are monthly averages, so you will find days that get hotter than 93° in the summer and days during the winter when the temperature drops below 22°. Luckily, we’re here to help you survive and thrive in the polarized Salt Lake City climate. Expect: Scattered rain showers (especially in April and early May), followed by sunshine, then followed by snow flurries. Prepare by: Always keeping a coat on hand, but layer lightly because it will typically warm up by early afternoon. If you have seasonal allergies be sure to stock up on allergy medicine since Salt Lake’s flora really blossoms during the springtime. 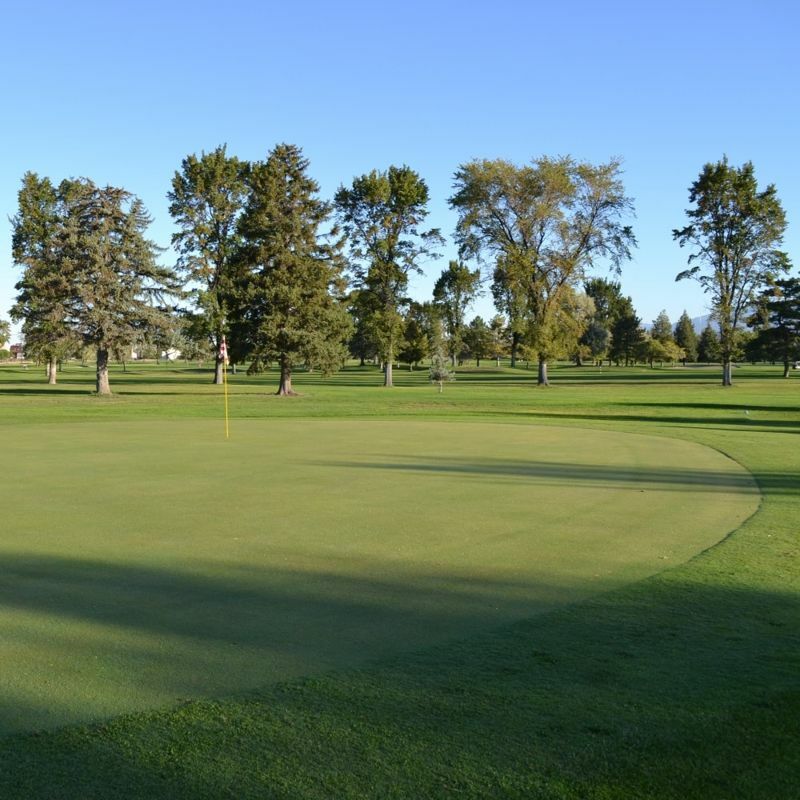 Keep your sanity by: Going skiing on the weekend and golfing on a weekday. It may sound weird, but since spring is so random and unpredictable you’ll find that the mountains will stay snow capped while the grass transforms from a sludgy brown to a vivid green. Expect: Hot days and (mostly) cool nights. Utah’s low humidity levels prevent the heat from lingering once the sun sets so you can crack your windows most nights to cool down and save on your power bill. Be aware that the sun stays up until at least 8 p.m. so your days will feel longer, but infinitely more productive. Prepare by: Investing in a good moisturizer with SPF, because while the days may look beautiful from your window, the sun will still damage your skin. The high elevation of Salt Lake City intensifies the sun ray’s effects even on the mildest of summer days. Additionally, you’ll want to keep a good pair of sunglasses in your car. You never know when the sun will totally affect your vision while driving on the freeway or just a neighborhood street. Keep your sanity by: Visiting the outdoors! Seriously. The hiking trails and lakes around Salt Lake really blossom by summer and make for a perfect getaway during the summer. You’ll find that this is the most active season of the year, and for good reason. Take in those beautiful mountains and fresh air. We promise you won’t regret it. Expect: Mild days and chilly nights. The start of autumn tends to be warm as summer dies out, so you may not notice the cooling temperatures, but you will know it’s fall as soon as you see piles of leaves around your neighborhood or your own yard. This is a good time to start pulling out your sweaters and jackets from storage. Prepare by: Keeping your camera on hand. We aren’t kidding when we say that autumn is the most Instagram-worthy season. 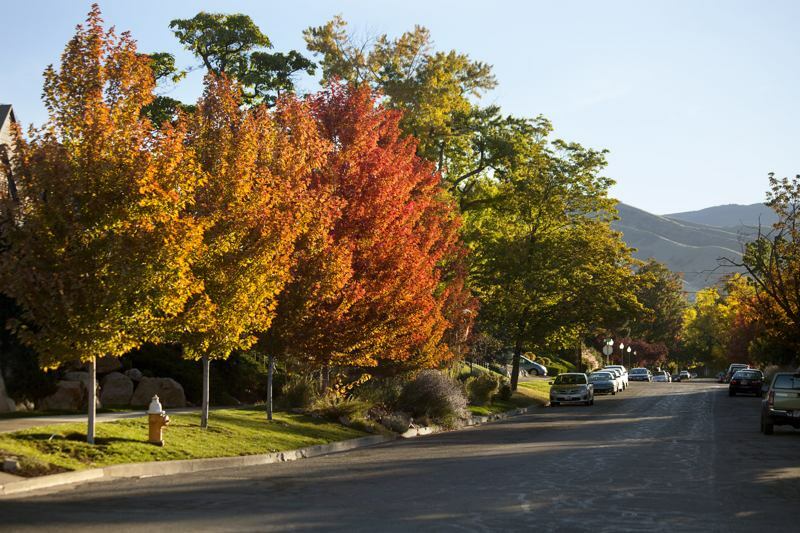 Salt Lake City transforms into a beautiful tapestry of red, gold, and orange during the early stages of fall. However, it’s less than picture perfect once the leaves fade out to brown, so prepare for that by keeping a rake or leafblower on hand. Keep your sanity by: Avoiding school areas. This is the time that the college crowd returns to Salt Lake, as well as the regular school kids. You may not be able to avoid it entirely if you have kids or if you live or work near the university, but if you can then you’ll be better off. You can use the time you save avoiding these areas exploring the outdoors before winter hits. Expect: Ice and snow, but you probably knew this already. What you probably don’t know about is inversion. During the winter season the usual atmospheric conditions become inverted so the cool air above gets trapped by the warm air below, funnelling smog and other pollutants into our breathing air. Inversions are typically accompanied by fog and rain, which affect your vision when driving. However, inversions aren’t a daily occurrence and the Division of Air Quality has been working to reduce the amount of pollution that gets trapped in the air. Weber State University created an app that keeps track of air quality around the Salt Lake Valley so you know the best days to avoid physical activity outdoors. Prepare by: Setting your alarm at least fifteen minutes earlier to give yourself enough time to scrape ice or snow from your windshield. For this you’ll need to invest in a good scraper, which you can find at any grocery store around you. Along with your scraper, try keeping kitty litter in the trunk of your car. If you get stuck in an icy patch, you can sprinkle the kitty litter on the ice to give your car some traction. Planning ahead will ensure that you don’t need to speed on icy roads to make up for lost time. And speaking of icy roads, this may be a good time to use Utah’s awesome public transportation system. Not only will you reduce your risk of getting into an accident, but the winter inversions will thank you. If you must drive consider taking your car to a mechanic to get your tires checked, rotated, and switched to winter tires if needed. Keep your sanity by: Visiting some of Salt Lake City’s best coffee houses and getting a hot drink on the chilliest of days. Salt Lake winters may be cold but they are rarely bitter or windy. There may be days when feel like hibernating, but we definitely recommend going out to play in the snow. Whether it’s skiing, snowboarding, or just good old-fashioned sledding, you’ll feel better after breathing in some fresh, if slightly brisk, air. We guarantee it.